Dive Journal: I remember this dive from 2 years ago, and all three wrecks are still there. The profile is relatively deep, nearly square with a max depth of 85 feet, so it is also a fairly short dive. Unlike last time, however, we’re diving on Nitrox this year, and we are treated to a much longer bottom time than before. We again explore the Beata first, checking out the huge plains of garden eels surrounding her. 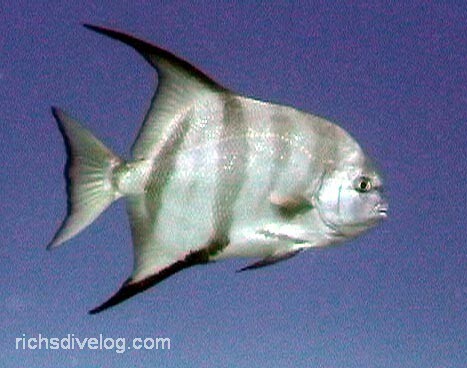 There is a big Atlantic spadefish zooming around, several large French angels, and, of course, great dancing schools of silversides and glassy sweepers inside the wreck. We then check out Marie L and the Pat and I take some video of fellow diver David Winoker sitting on the commode there. We eventually slant up to shallower waters and explore the reef for a while, locating a nice southern stingray gliding along the sand flats.